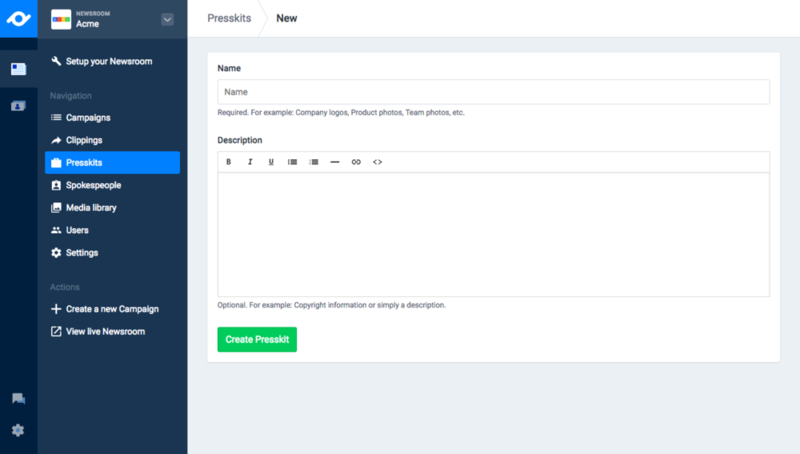 Product news: We launched our best version yet..
Step-by-step explanation of pr.co's interface and navigation update. 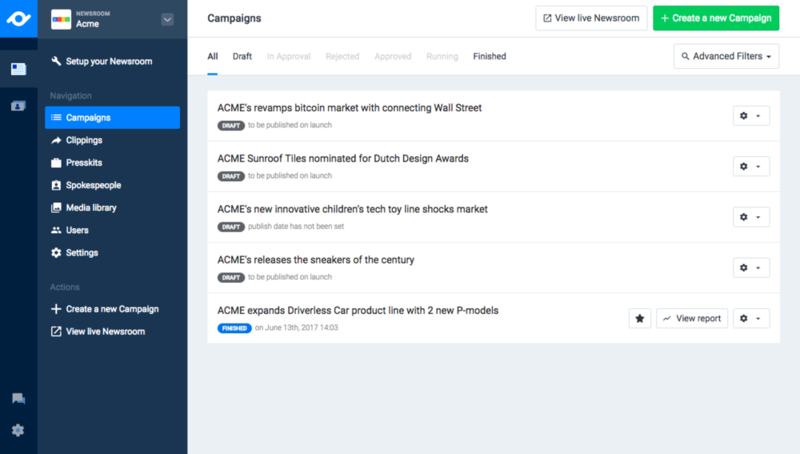 Our product team has quietly been working on a major update to improve the way you work with pr.co. 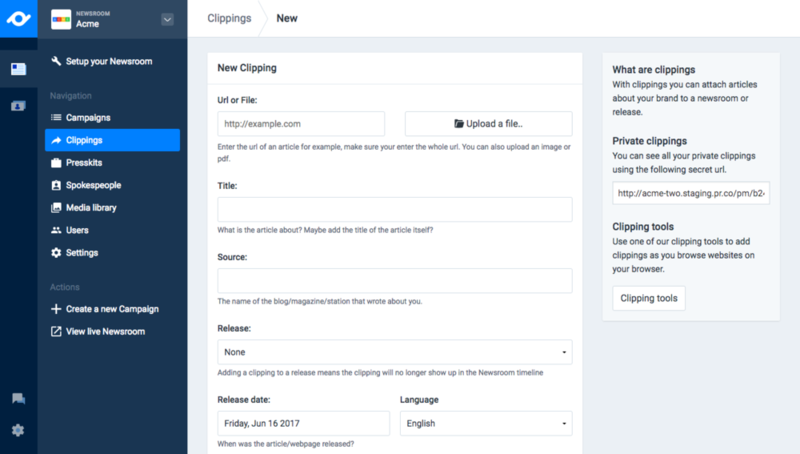 After conducting dozens of interviews, weeks of sketching, testing and writing code; we're proud to announce that major update today. 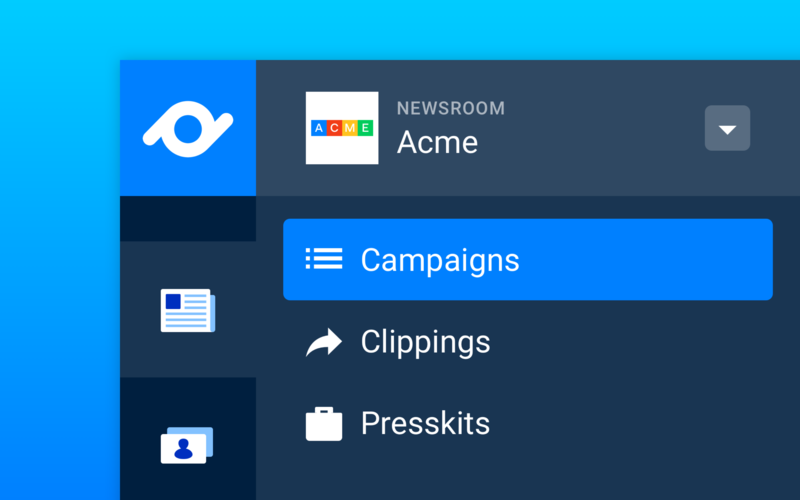 We're launching our best version of pr.co yet - everything changed, and nothing changed. 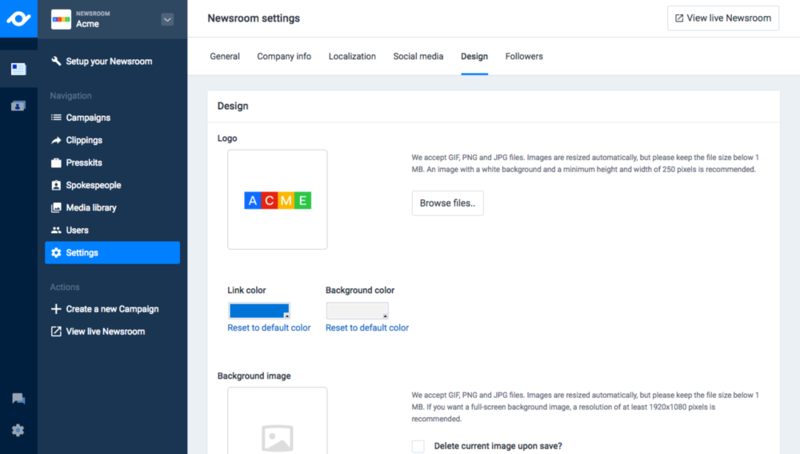 Everything changed, because the app got a brand new look and feel, we've improved the way you interact with pr.co (the User Interface), removed all the clutter and we've made it much easier and faster for you to navigate through the tool. Nothing changed, because you can still do everything that you're used to in pr.co. In terms of functionalities nothing has changed. To make sure you'll get the most out of the new pr.co, we've written a step-by-step explanation of the changes we've made. We want to build a sound, scalable and future-proof foundation from where we can improve and expand our product. We want to lose all clutter, and distraction. Every page needs to only show what's strictly necessary. We want our users to be able to work faster and more efficient. Instead of having to switch your focus on both the horizontal, as well as the vertical menu, we have decided to move all the navigation to the left. So, instead of having to look for what's where, you'll now find everything on your left. 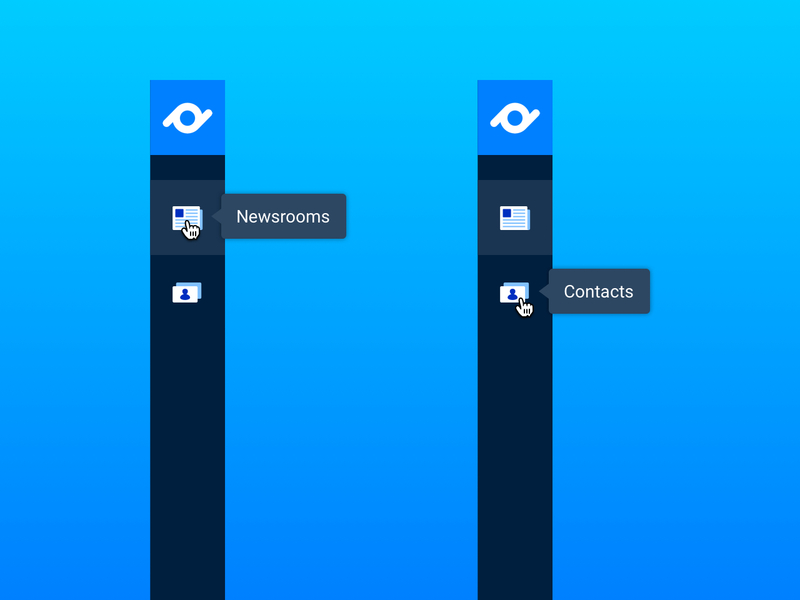 The first vertical menu on the far left can be used to switch between your newsroom and your contacts. 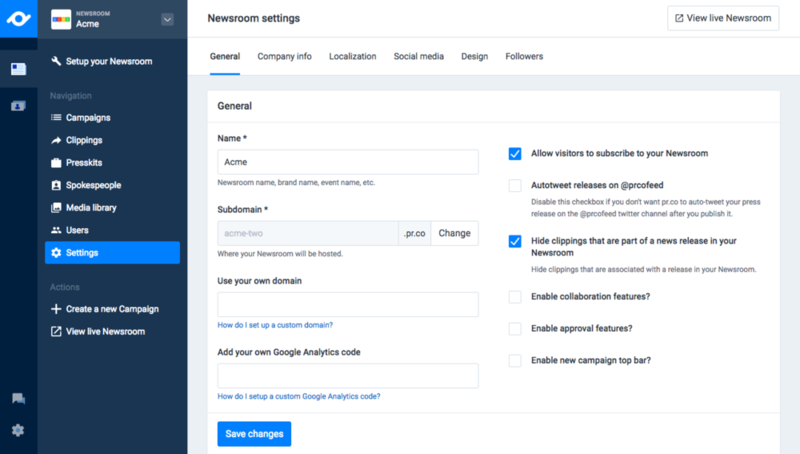 Are you managing multiple newsrooms, in multiple locations? 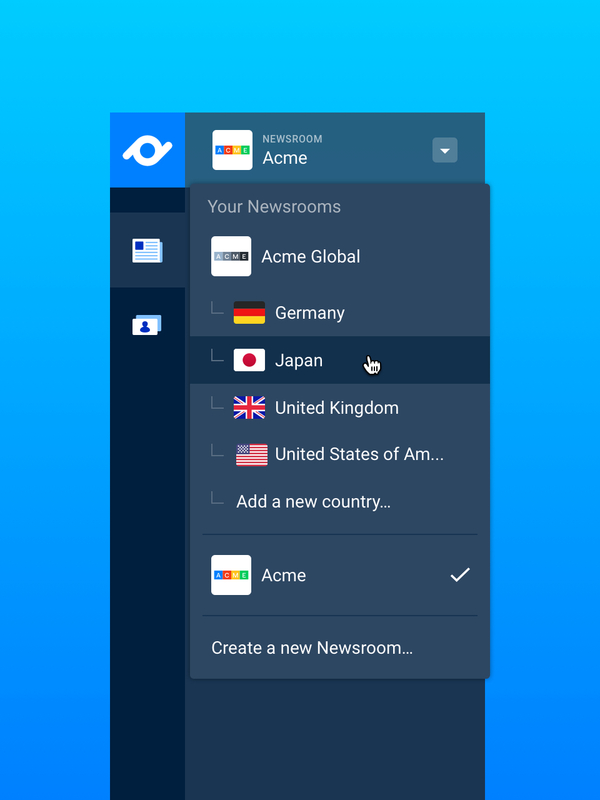 Switching between newsrooms just got a whole lot easier - simply click on the name of the current newsroom you're in, and a dropdown displaying all your newsrooms will appear. 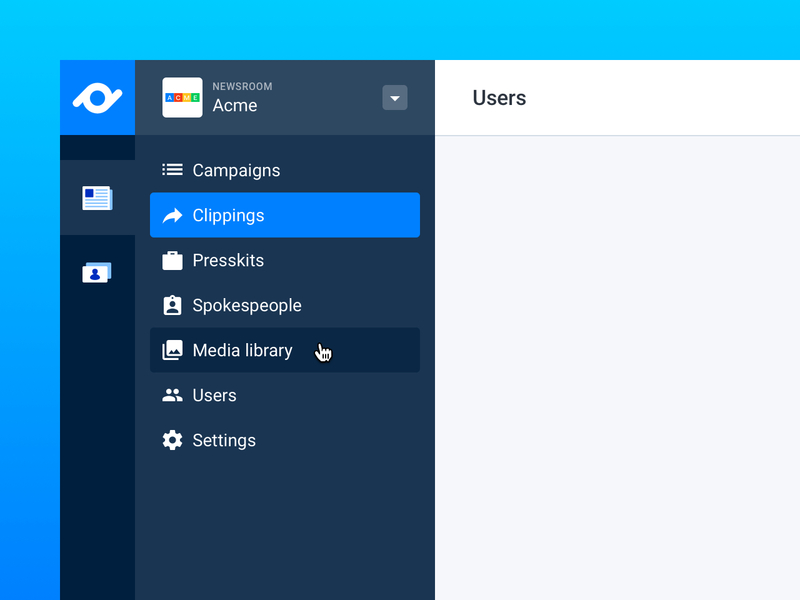 In the second vertical menu on the left, you can add campaigns, clippings, presskits and spokespeople. 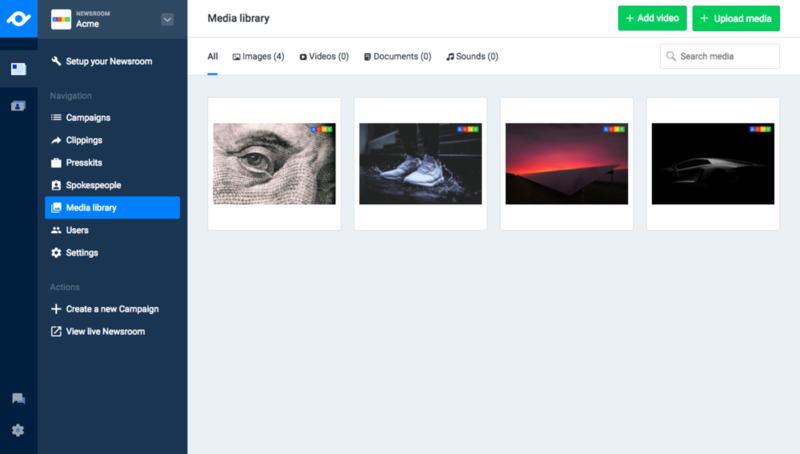 In this menu you will also find you media library, user management and newsroom settings. User settings, organisational settings, billing information and changing organisations are not very often used. We have decided to make sure you won't be distracted by these functionalities during your daily tasks. You can now access them by hovering over the gearwheel icon on the left bottom in the app. Above this icon you'll see a conversation icon, which you can use to get in touch with us. 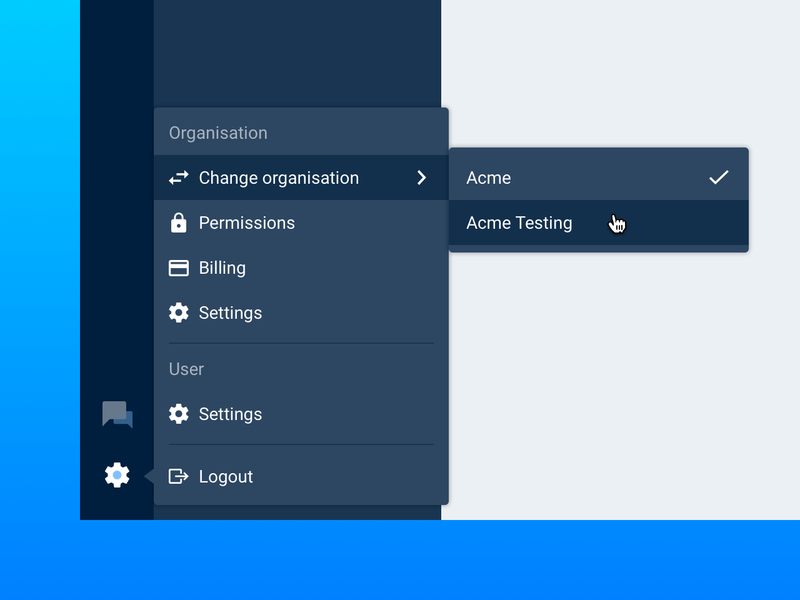 An impression of what our new interface and navigation looks like, we recommend checking it out in person as you can then fully experience all the new transitions, animations and hidden menus.